Use pre-paid PS Store Cash Cards to download this game to your PS3™. 2. Go to the PlayStation®Store on your PS3™. Please make sure pop-ups are enabled to continue. Would you be willing to answer a few brief questions about PlayStation.com? Do you have Media Go? 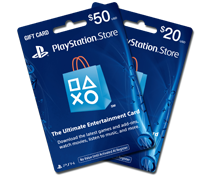 You must have Media Go® installed to access PlayStation®Store on your PC. Media Go® is a free software application that lets you transfer games, add-ons, demos, movies, TV series and more from PlayStation®Store to your PC and then to your PSP® system.